In collaboration with the hardware manufacturer Amerock, this is a sponsored post. All opinions are mine. Mr. Cohler presented his work and I learned that he sees the world through paintings and translates his extensive education in art and architecture into a modern approach to interior design. He mixes contemporary materials in a classical way and dabbs a surprise of color like a brushstroke of an artist. 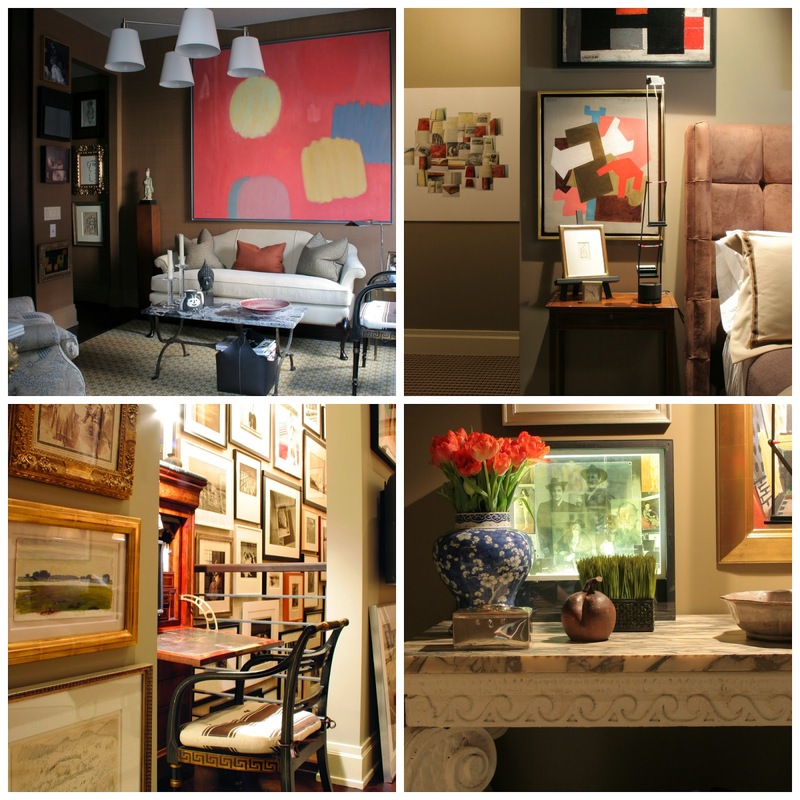 Eric admits that sometimes his designs are also drawn from the subconcious - he layers his rooms like a Mark Rothko or Josef Albers painting and realizes the root of his inspiration after the room is done. 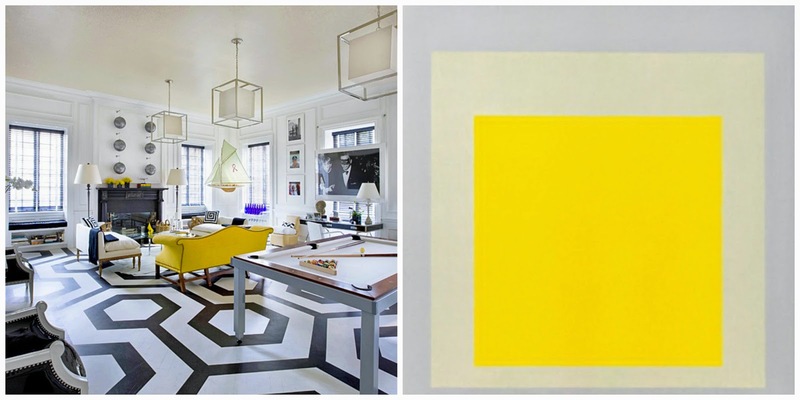 See the Albers + Holiday house image above. Love it! His conference room was filled with Amerock hardware introducing his partnership with Amerock and allowing us to get hands on with their hardware. Amerock has an abundant collection and Cohler started his presentation by saying," Amerock can easily act as the consumers compass." To make it easy for the consumer to shop, Cohler broke them into categories from different regions of the country. Are you BiCoastal, NorthEastHome, CityBeat, PhoenixRising, LAExpereince, LondonUndone, or Lodge? Its brilliant! Within each style, Eric showed us options for the consumer to mix and match for a coordinated look. For instance you can use copper hardware for the drawers and black hardware for the upper cabinets. Trends please....Cohler shared with the group that on his travels to the Maison et Objet trade show in Paris, the newest trend coming to the United States is copper, an organic metal because its almost like a living finish -the more you touch them, the more they change. 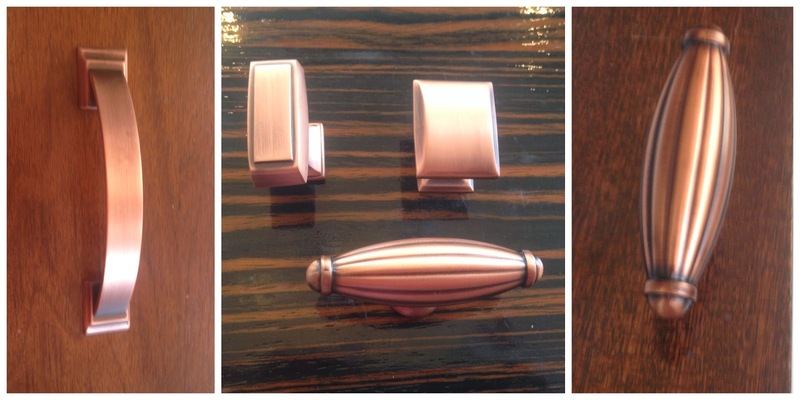 The copper Amerock collections are gorgeous! You can easily mix them with macassar ebony or other warm toned woods. Eric also stated "Hardware makes great jewelry for a cabinet," which later translated into some fun DIY projects where we crafted some necklaces and mason jars with Amerock hardware after his presentation. So fun! We all got a personal signed copy of Eric Cohler's new book Cohler on Design which I will treasure due to a wonderful experience. Thank you Eric Cohler and the Amerock team!